Despite the comical aspect of this dramatic utterance (which surprised its deliverer more than anyone else) the statement itself does go a long way toward explaining why traditional Irish music often evokes a strong response in American audiences. Certainly the dance music of Ireland, Scotland and England formed the basis of traditional ‘Old-Timey’ American music, and much of the bluegrass repertoire, e.g. Hop High Ladies, Fisher’s Hompipe, Red-Haired Boy, Temperance Reel, can be traced directly to the British Isles. What is more exciting than the mere musicological history of the situation is the strong emotional appeal that this music continues to hold for many Americans. Indeed, the recent appearance of so many performers on the folk scene who play traditional Irish tunes may be likened to the continuing interest of black jazz musicians, from Duke Ellington to Randy Weston to Cecil Taylor, in African Music. In order to know, as the musical press always seems to want to, where American music is going, it is first necessary to know where it came from, and this not in any academic sense, but emotionally. One of the highpoints of the recent ‘A sense of Ireland’ festival in London was accordionist Tony MacMahon’s magnificent performance of the air ‘The Wounded Hussar’ at The Royal Albert Hall which he prefaced with the comment that traditional Irish music is inextrically bound to events of Irish history. Indeed even the liveliest of Irish reels and jigs are often deeply emotional tunes and the airs and laments include some of the most starkly moving musical statements in the world. It seems that the tune was based on an older Scottish air ‘Lochabar No More’. A fine rendition of the latter may be heard on a Boys of the Lough record of the same name (Transatlantic TRA 311) which can easily be compared to the Boys’ version of ‘Lament for Limerick’ (‘The Pipers Broken Finger’, TRA 333). I originally learned the tune from a Sean O’Riada record. The defeat at Limerick was news during the adolescence of Ireland’s most celebrated bard, Turlough O’Carolan, a blind harpist credited with some two hundred-odd surviving tunes. The great majority of these are planxtys, tunes of a usually sportive nature which lie somewhere between Irish folk and Italian classical music. There is no doubt truth in the claim by some purists that Carolan’s music is not strictly folk music; it wasn’t dance music for one thing. But this seems to me to be entirely beside the point. 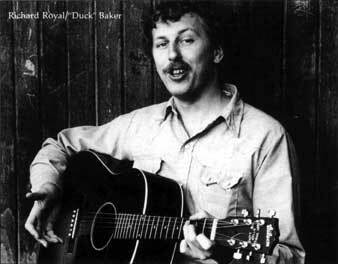 A great many of his tunes are real gems and the revival of interest in their performance is welcome. MORGAN MAGAN is typically Carolan; a planxty named for one of his patrons, full of surprising and lovely melodic turns. I learned this from Dave Evans, who in turn got it from Pierre Bensusan. So it’s a popular tune for guitarists. Dave’s version may be heard on ‘Irish, Reels Jigs Hompipes and Airs’ (Kicking Mule SNKF 153). Actually Dave’s arrangements of Carolan tunes influenced my versions of BLIND MARY and SHEEBEG AND SHEEMOR The latter is an anglicised spelling of the Gaelic for ‘The little hill and the big hill’, the title being a reference to the site of a battle between rival factions of the “good people” (leprechauns). This is purported to have been Carolan’s first composition. It is certainly one of his most popular. BLIND MARY is also credited to Carolan, but I would agree with his biographer, Donal O’Sullivan, in noting the folk quality of the tune and the possibility that the bard may not have actually written it. It is named for another harpist who was a contemporary of Carolan. THE BLARNEY PILGRIM is one of many fine tunes learned from the Matthews Brothers, Larry and Terry, originally from Co. Kerry, but now living in Rochdale, Lancashire. The tune is fairly popular these days and interpretations of it differ, but it has to my ear a curiously non-tonal quality in the first and third sections which many of the older tunes share and which has so often created problems for accompanists (contemporaries such as Donnal Lunny and Michael O’Domhnaill have taken great strides towards viable backing styles). I learned this (very American) version of THE RIGHTS OF MAN from autoharpist Bryan Bowers, whom I’ve known since first meeting him back home in Richmond, Va. in the mid-sixties. Bryan has had great success in adapting fiddle tunes to the autoharp, a process that usually involves slowing down the autoharp, a process that usually involves slowing down the tempo considerably. In many cases the resulting emphasis on the melody more than makes up for the loss of drive on such arrangements, a loss which is probably inevitable on the autoharp and at the least difficult to avoid with finger-style guitar. It might be added that hompipes are rarely played with their traditional rhythm in America, since the dance itself seems to have been forgotten early on. American players rarely draw a line between hornpipes and reels, often playing both at a common pulse somewhere between the original norms. This is certainly true of my own playing. But not always; WICKLOW HORNPIPE, PROUDLOCK’S HORNPIPE and BANTRY BAY are played in the original rhythm. WICKLOW was learned from a Tony MacMahon record (Gail-Linn CEF 033) and BANTRY BAY from one by Martin Byrne (on Leader), though I have changed the second section somewhat. PROUDLOCK’S is a Northumbrian tune named for a small-pipes player who presumably wrote it. Also from Northumberland (the extreme North-East of England) are ELSIE MARLEY and SIR SIDNEY SMITH’S MARCH. Northumberland music has a character quite its own, a bit less mournful than Irish music and less fiery than Scots. Some of its qualities seem related to those of the indigenous Northumberland small-pipes, a much sweeter sounding instrument than either the grand-sounding Irish pipes or the almost martial highland pipes. I learned PROUDLOCK’S HORNPIPE and ELSIE MARLEY from records by The High Level Ranters, the rivivalist band based in Newcastle, who remain a greatly underrated group in view of the length (15 years) and quality of their contribution to the British Folk Scene. SIR SIDNEY SMITH’S MARCH I learned from erstwhile Ranter Alistair Anderson, who has recorded his brilliant arrangement on ‘Concertina Workshop’ (Topic 12TFRS5O). I got Scott Skinner’s THE DUKE OF FIFE’S WELCOME TO DEESIDE from Art Rosenbaum, who has an amazingly convincing version of this grand Scots march on the five-string banjo. Skinner spearheaded a Scots music revival around the turn of the century which had some unfortunate aspects, such as the obscuring of many regional styles of playing. Nonetheless, he left much that is memorable, as his setting of this tune indicates. The other non-Irish tune here is FANTELADDA, a Norwegian dance tune learned from Topic records’ excellent ‘Folk Music of Norway (12TS351). The simplicity and straight harmonic character of this piece are typical of most Norwegian folk music, particularly the beautiful and arcane hardanger fiddle tunes, but some of the same haunting quality is there. I used it for a springboard into THE BOYS OF BALLISODARE, which I learned from another Tony MacMahon recording (The Breeze from Erin, Topic 12T184). While the majority of Irish tunes are two-part, some have three, four, five, even six parts. Usually the ‘bigger’ tunes contain sections that are similar, as the first and third of THE BLARNEY PILGRIM. My setting of KID ON THE MOUNTAIN has five parts, but some musicians use six (indeed O’Neil’s version includes this often-omitted section). 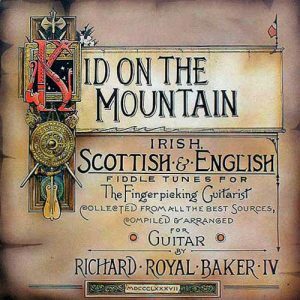 However many strains it has, KID ON THE MOUNTAIN is one of the great pieces of the Irish repertoire and it is indeed one of the most popular. It is a slip-jig, or 9/8 jig, which amounts to tripled-up waltz time, nothing like the 9/8 rhythms in Eastern European music or in modern jazz. For some inexplicable reason, slip-jigs don’t seem to have entered American traditional music at all. I should add that I have received nothing but encouragement and positive criticism from the Irish, Scots and English traditional musicians who have listened to my arrangements of the music. In addition to the Matthews Brothers and Alistair Anderson, I would like to acknowledge the support and acceptance of Paul and George Furey, Davey Arthur, Tom Gilfellon, Kevin Boyle, Mick O’Conner, John Bowe, Mick Maloney and Sean Terrell. Also my mother, whose simple piano version of ‘Speak to Me Only With Thine Eyes’ thrilled my young ears with the knowledge that my musical heritage extended further than the Beachboys. Distributed in the U.K. by Pye Records (Sales) Ltd.